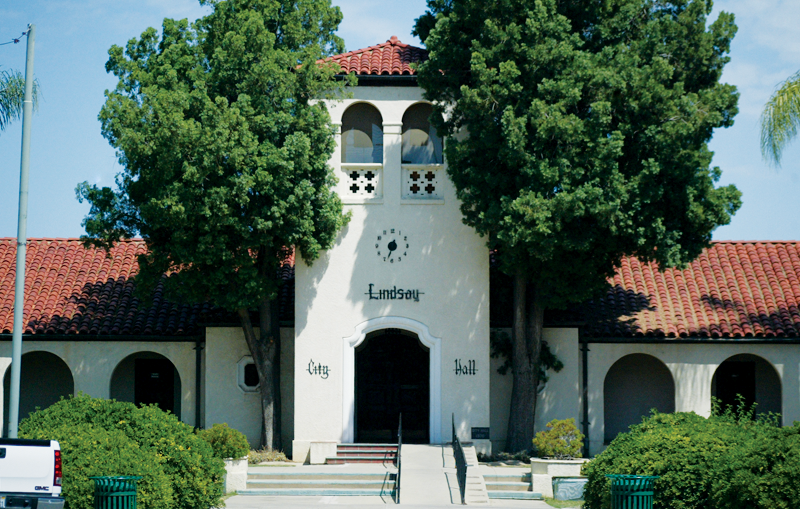 LINDSAY – Lindsay has come under fire in recent weeks for the decision to not repay utility funds they had borrowed from, but their financial position is more accurate and they have fewer findings in their audit to show for it. Last year the City had seven findings in their 2016-2017 fiscal year audit, this year looks a little better. Auditing firm Badawi and Associates ultimately noted three material weaknesses and one significant deficiency. Material weaknesses, the most serious findings in an audit, partner Ahmed Badawi noted: deficit fund balance and going concern; non-compliance with laws, regulations contracts and grants; and restatement of previously issued financials. Badawi’s significant deficiency finding was stated as control over accounts receivable. “This year there were positive signs but still a long way to go,” Badawi said about the City’s general fund deficit. Lindsay’s audit revealed its general fund runs a deficit of $5.6 million, and according to Badawi, it is obviously not in a good financial position. The City’s auditor since 2017 said that the general fund’s position was only mitigated by the reduction in expenses from 2016 to 2018, and removing the loans it was not going to repay to other funds within the City. According to Badawi’s presentation, the City reduced its total general fund expenditures from $5.5 million to $4.8 million, and reduced their general fund deficit from $6.6 million in 2016 to $5.6 million in 2018. First year councilwoman Yolanda Flores asked Badawi if the City had committed fraud when they had used restricted enterprise fund money for other services in previous years. The cause of which was not necessarily addressed in Badawi’s presentation. He hesitated to classify the use of funds as fraud. Badawi lamented that borrowing between accounts happens often within municipal government, but added the strict caveat that borrowing is not allowed if the money is not expected to be paid back. He added that the case for fraud is hard to make, because it rests on whether the person issuing money knew what they were doing is wrong. While the general fund was not able to keep up to its now previous financial obligations, councilman Brian Watson still boasted about the general fund’s improved position, noting that the City is attempting to right their financial ship. “We are well on the way of correcting those transgressions and creating a system that is far more transparent than we’ve had in the past,” Watson said. “I wouldn’t say well on the way. But yes, what we are seeing is the City is trying to find new revenue sources and stop that type of accounting that was done,” Badawi responded. Flores asked whether restricted funds should sit in their own account, like the Street Improvement Fund which has it’s very own account all together, to ensure it is not misspent. Badawi said to have each restricted fund be setup with its own individual bank account “would be a nightmare”, which is why they record the balance of each fund on a general ledger. The problem in the past has been that with all of the City’s money sitting in one large account, the comingling of individual funds is made easier if not accounted for properly. Badawi’s third material weakness reiterated findings that had to deal with the mismanagement of money administered by the California Department of Housing and Community Development and CalTrans. City manager Bill Zigler says he has reached out to HCD and other agencies to create a dialog and figure out what they need to do fix years of mismanagement. In a heated exchange Flores said it was incumbent on the administration to be administering grants and other types of funding all along. “It should have been this administrations responsibility to be doing it right all this time,” Flores said. However, Zigler says it has been the mission of senior staff to identify and solve problems as best they can when they are revealed. He added that it has taken several finance directors plus the tutelage of former Visalia finance director Eric Frost – who offered his services for free – to get where they are now. “How could it have been their responsibility when they only took over in 2015,” Watson said in defense of Zigler and his administration who assumed their role in 2015 after former city manager Rich Wilkenson left the City. Watson went on to say that himself, former councilmen Danny Salinas and Steve Velasquez along with mayor Pam Kimball, worked to create clearer transparency in City finance after the debacle of former city manager Scott Townsend’s administration, along with Watson’s own effort beginning in 2015. “This is the reason why all this is coming to light. Had it not it would have been very easy for the comingling of funds, the big pot of money, to be continuing,” Watson added. Lindsay finance director Bret Harmon said the City will continue to see grant related findings until it is resolved. He added that the general fund deficit will continue to plague future audits until the City can begin accruing reserves. Badawi’s last finding over significant deficiency is closely tied to the City of Lindsay’s outdated computer software. Harmon told the Council that Badawi’s last finding can be remedied by an upgrade to their accounting software, so they can produce the reports auditors are asking for. “None of us are happy with our financial situation. But we appreciate your efforts to ensure the financial statement are accurate,” mayor Pam Kimball said at the end of Badawi’s presentation. There were some key positives from the City’s 2018 audit. In one key area Badawi’s presentation pointed out that the City is generating more tax revenue, than their cost to provide services. Badawi noted the City’s net cost of services for the 2018 fiscal year was $3.4 million where as their tax revenue was $4.2 million. Lindsay’s net position in restricted funds have seen a remarkable improvement over the last three years. In 2016 net position for restricted funds were just over $4 million. In 2017 it was $4.3 million and by 2018 it was $15.2 million. The net position of nrestricted funds, while deeply in the negative, are showing a signs of moving in a positive direction. Badawi’s presentation showed the City facing a total $18 million deficit. The deficit shrank by almost $4 million in 2017 showing a deficit of $14.6 million, and then reducing the deficit further in 2018 at $11.3 million. Badawi added that the City has made gains in their cash and investments thanks in large part to Measure O, the City’s one percent sales tax measure passed in 2017. The City more than doubled 2017’s cash and investments category in 2018, improving from $1.2 million to $3 million.